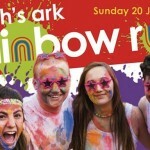 Noah’s Ark Children’s Hospice Rainbow Run This colourful 5k run is not about speed or fitness, it’s all about fun whilst raising vital funds for Noah’s Ark. 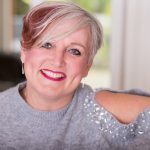 Just turn up on the day in white, or clothes you don’t mind being covered in paint, and leave with a smile and every colour of the rainbow! Caribbean Summer Carnival. Family Fun Day at The Salisbury Arms, in aid of North London Hospice, Great Ormond Street Hospital, Noah’s Ark Children’s Hospice. 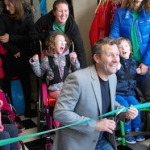 Fun at the The London Centre for Children with Cerebral Palsy Charity Shop.Join us for fun activities and a chance to buy something nice! 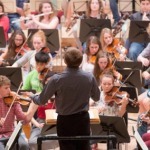 Appearing on The Broadway on Friday 26 September are cellist Georgina Lloyd-Owen and violinist Alinka Rowe from the National Youth Orchestra. 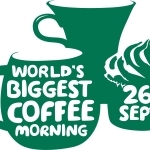 Can’t Buy Me Love is holding a Macmillan’s Coffee morning to raise money for Macmillan’s Cancer Support. 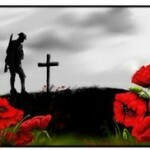 We’ll be laying on homemade tea and cakes in exchange for a charity donation. Calling all bears! 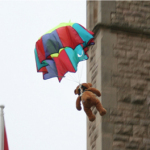 By popular demand, teddy bears are once again going to parachute from St James’ Church bell tower! Each teddy will get a certificate of bravery!